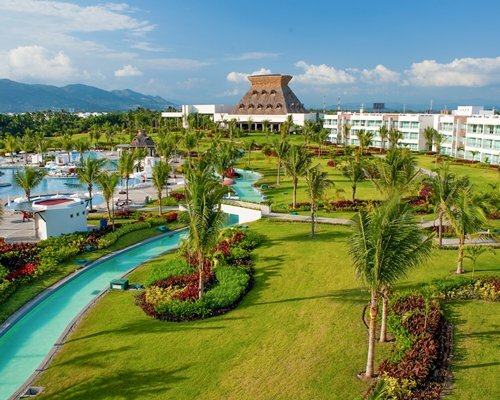 Among a majestic golf course and beautiful gardens, you will find the Mayan Palace Acapulco, which combines unlimited luxury, with a family friendly environment. The resort offers a variety of amenities that will please even the most demanding guest: A great lazy river that surrounds beautiful pools and a fun water park with slides and games for children. It also has a restaurant, bar, tobacco shop, self-service laundry facilities, ATM and child care. 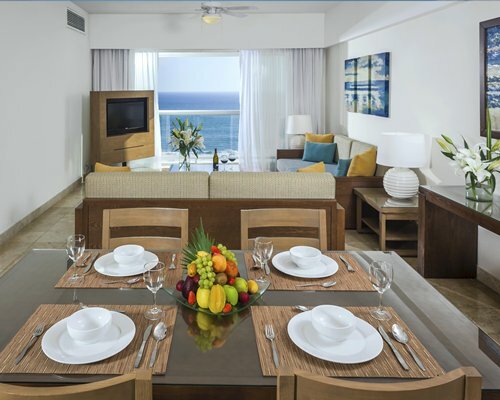 When you stay at the Mayan Palace Acapulco, you will also have access to the facilities of the other resorts in Mayan Resorts Acapulco such as restaurants with theme dinners, entertainment, game room, internet cafe, spa and gym (extra fee), or the beach at the Hotel Grand Mayan, the restaurant Il Forno di Gio located at the Mayan Sea Garden, the 18 hole golf course designed by Pedro Güereca and 12 lighted tennis courts with different surfaces.